I’ve done pieces with them separately and now they’re together! 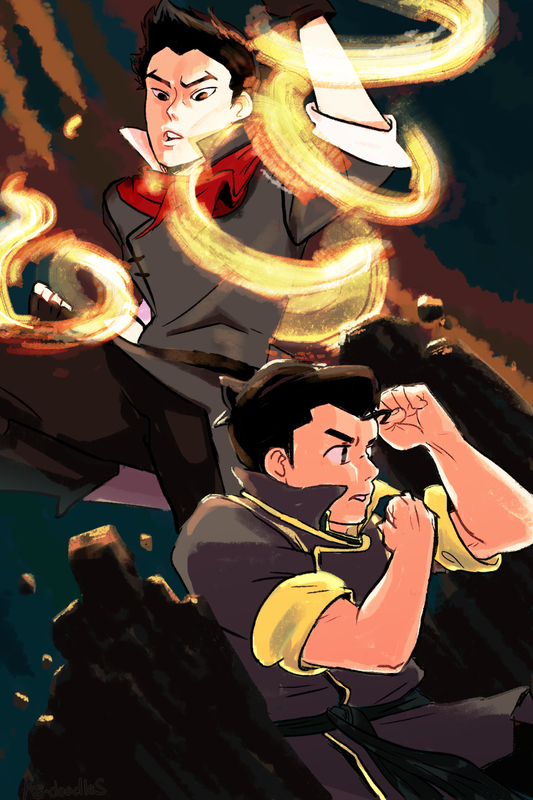 They are Bolin and Mako from Nickelodeon's wonderful series, Avatar: Legend of Korra. 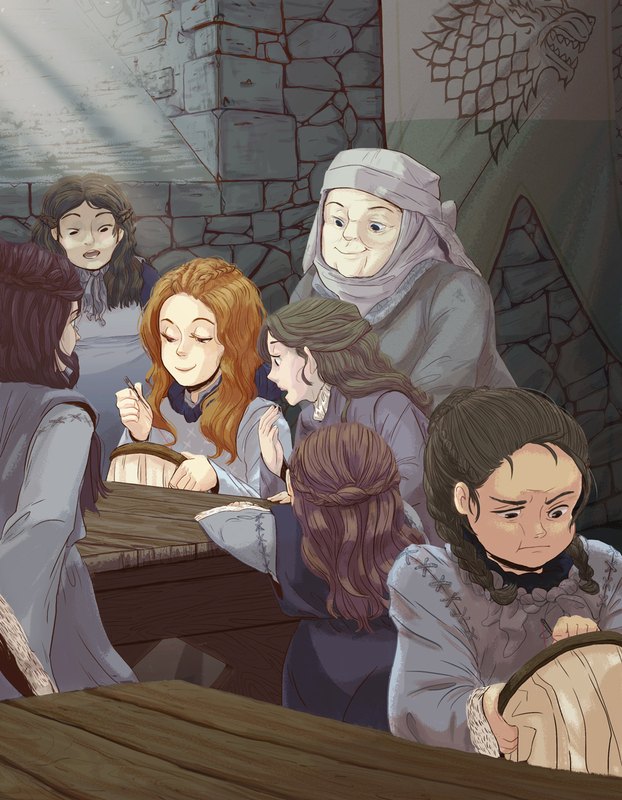 A piece done for Draw 'Em With the Pointy End, a limited-edition 160-page, full color soft cover tribute art book with over 100 artists from around the world sharing their original homages to G. R. R. Martin's series, A Song of Ice and Fire (Game of Thrones). This one is taken straight out of the first book in the series. Daenerys is given a golden torc similar to those of the slaves that Khal Drogo had and chills ran down her spine. 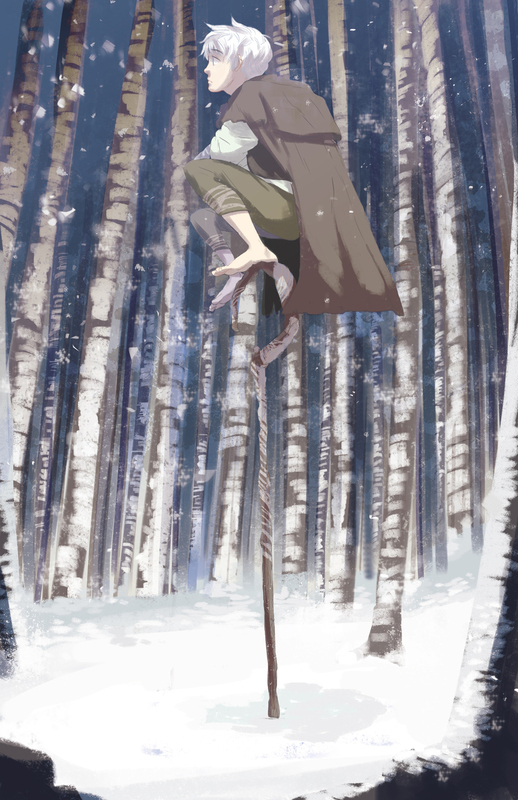 This piece depicts the stark difference in the relationship of the wolf banner's household. They are two distinctively different girls - one much in tune with femininity while the other enjoys sword fights and archery. 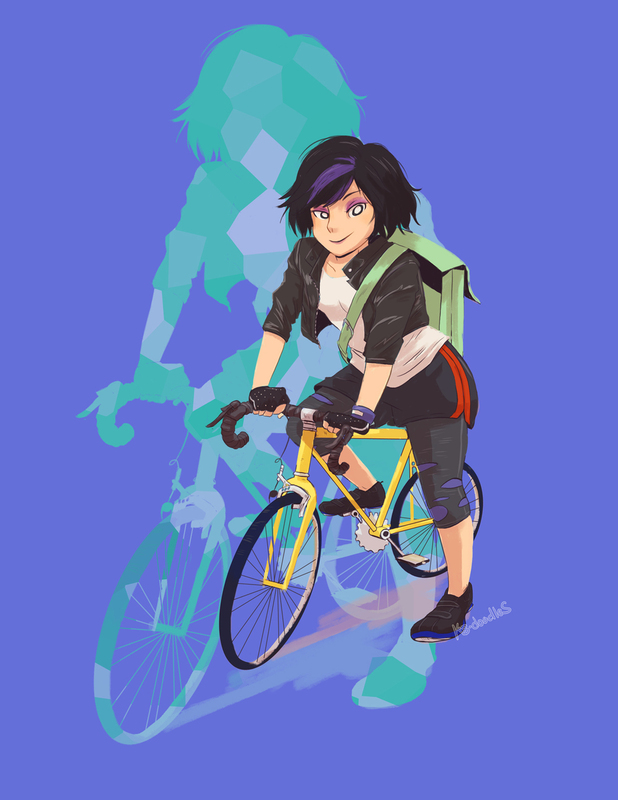 Commission for Gogo Tomago from Big Hero 6!